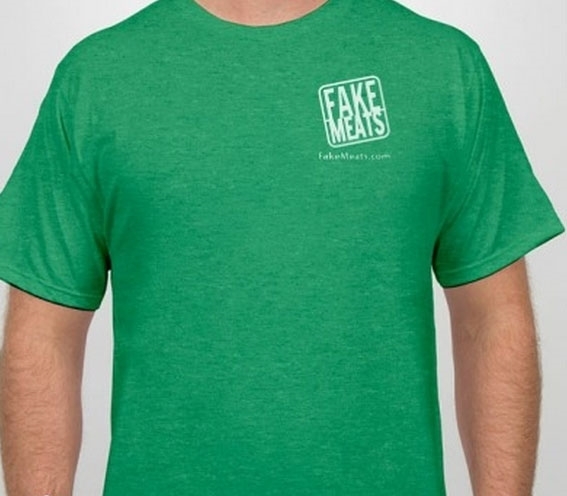 Get your Fake Meats T-Shirt! Proud Fake Meats eaters declare your love for Fake Meats! Made of preshrunk 100% certified organic soft spun cotton; classic fit; apple green color*. 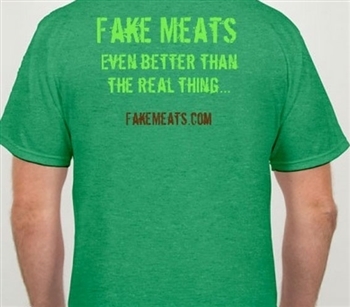 Back: "Fake Meats even better than the real thing...FakeMeats.com"